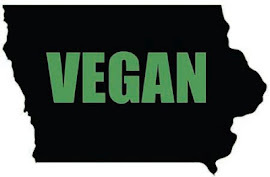 Vegan Iowa: Trumpet Blossom Cafe - YUM! Great review, I am really wanting to try it! Didn't realize there was a bar too, even more so now! Yes!They have a great selection of craft beers and vegan friendly drinks! Great review! The drinks at Trumpet Blossom are one of my favorite parts since they are so creative and use several local vendors. They make a cocktail with River Rose Gin from the Mississippi River Distilling Company in LeClaire and rose water that is particularly good. For a shareable dish, their pizza is quite substantive and the toppings change depending on the day.